It looks like a flower from the garden, with two little ladybugs climbing up the stem. 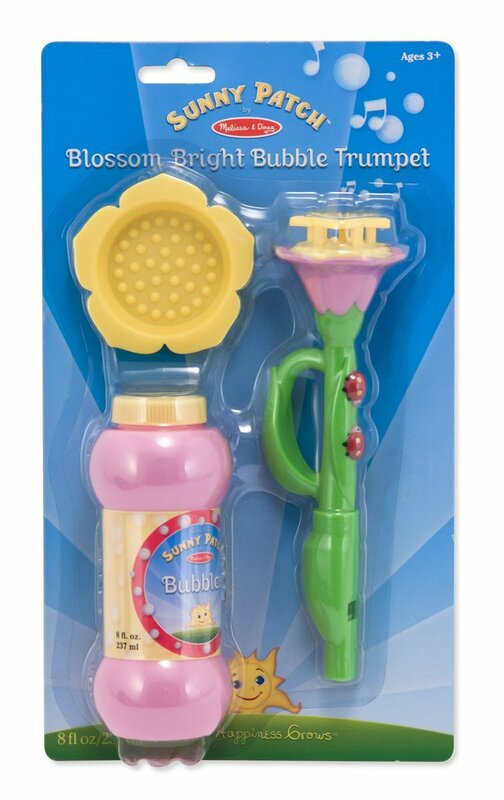 But dip the petals in bubble solution and give a blow, and this bubble trumpet whistles and bubbles to life! 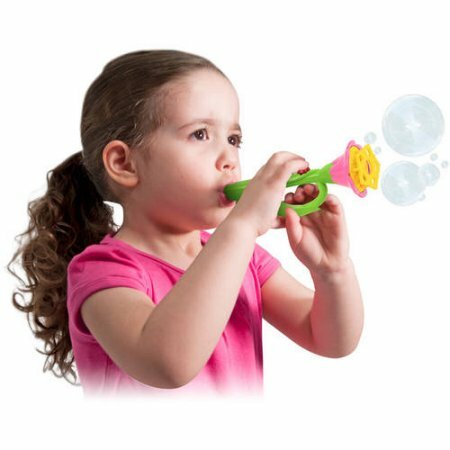 Kids can blow bubbles and sound at the same time, or use it without bubble solution for sound alone. 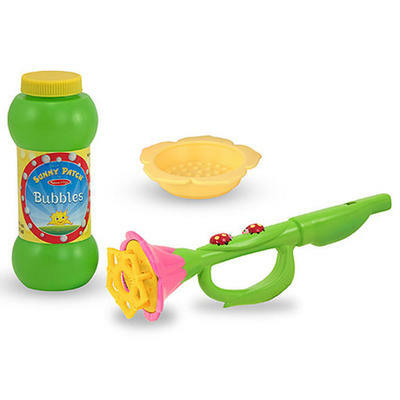 Set includes 8oz bottle of bubble solution.